Benjamin Netanyahu WON Re-Election in the Holy Land of Israel-Yisrael!! 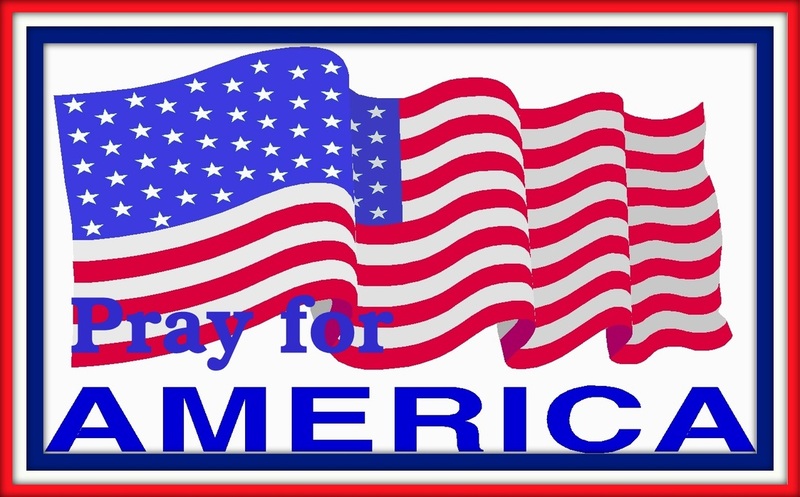 PRAY for USA and ISRAEL-YISRAEL NOW!! The Abomination Barack Hussein Obama aka Barry Soetoro TELLS muslim Congresswoman CONGRESSWOMAN Rashida Tlaib ‘I’M PROUD OF YOU’ AFTER she MAKES FIERY ANTI-SEMITIC STATEMENTS AND SUPPORTS BDS MOVEMENT!! Former president Barack Hussein Obama aka Barry Soetoro allegedly told muslim congresswoman Rep. Rashida Tlaib that he was ‘proud of her’ during a meeting yesterday!! Rashida Tlaib once contributed an article to the Final Call, the Nation of Islam leader Louis Farrakhan’s publication known for promoting anti-Semitism. Tlaib also supports the Boycott, Divestment, and Sanctions movement, which advocates for the boycott of Israeli organizations and companies to support Palestinian interests!! Louis Farrakhan Sr. aka Louis Eugene Walcott is a Devout muslim and muslim brotherhood member and Sympathizer!! Newly-elected Muslim congresswoman Rashia Tlaib doesn’t like President Trump, and she doesn’t like the Jews or the nation of Israel. She has made multiple anti-Jewish and anti-Israel statements that drew fiery condemnation. Additionally, she supports the anti-semitic BDS Movement which seeks to punish Israel economically. She has high level supporters though, former president Barack Obama told Tlaib yesterday how very proud of her he is!! I was immediately reminded about the very contentious relationship that Obama had with Israeli PM Netanyahu, taking his hatred for the Jewish leader so far as to spend $350,000 in an attempt to cause Netanyahu to lose his bid for reelection back in 2016. Obama failed wonderfully in that attempt. “The best part was when he looked straight at me and said, ‘I’m proud of you,’” Tlaib. Tlaib has had an eventful first few months in office. Rashida Tlaib and Barack Hussein Obama aka Barry Soetoro is Anti-Israel-Yisrael / Anti-Zionism / Antisemitism / Anti-Christian and Jewish People / Anti-USA Constitution and Capitalism!! ( Exodus 20:7 KJV ) “Thou shalt not take the Name of the LORD thy GOD in Vain; for the LORD will not hold him guiltless that taketh HIS Name in vain.”!! ( Ephesians 4:29 KJV ) “Let no corrupt communication proceed out of your mouth, but that which is Good to the use of Edifying, that it may Minister Grace unto the hearers.”!! This Means NO CURSING!! In January, the Michigan Democrat promised attendees at a left-wing MoveOn reception in Washington, D.C., that Democrats would “impeach the motherf**ker,” referring to President Donald Trump!! Move on .org are Full of Extreme Left-Wing Liberal DemocRATS and they’re all Anti-USA Constitution and Capitalism / Anti-Israel-Yisrael / Anti-Zionism / Antisemitism / Anti-Christian and Jewish People!! Tlaib once contributed an article to the Final Call, the Nation of Islam leader Louis Farrakhan’s publication known for promoting anti-Semitism. Tlaib also supports the Boycott, Divestment, and Sanctions movement, which advocates for the boycott of Israeli organizations and companies to support Palestinian interests. Earlier this week, Tlaib introduced a resolution urging the impeachment of Trump, despite House Speaker Nancy Pelosi saying impeachment is “not worth it” in an interview earlier this month. READ MORE!! After watching these two videos you will have a good idea of what our two new Muslim congresswomen bring to the table. Antisemitism is Anti-Jewish and Christian People / Anti-Israel-Yisrael / Anti-Zionism / Anti-USA Constitution and Capitalism!! Muslims are Anti-Christian and Jewish people / Anti-Christian’s ( Antichrist’s )( 1 John 4:3 KJV ) / Anti-Israel-Yisrael / Anti-Zionism / Antisemitism / Anti-United States of America Everything / Anti– USA Constitution / Anti-USA Bill of Rights / Anti-USA Military / Anti-USA Veterans!! Do NOT TRUST Islamo-Fascism!! Democracy Now!! Extreme Left-Wing DemoncRATS!! Palestinian American Rashida Tlaib in Michigan and Somali American Ilhan Omar in Minnesota became the first two Muslim women ever elected to Congress. Rashida Tlaib is a Democratic Socialist Party who supports the Palestinian right of return and a one-state solution. She also supports Medicare for all, a $15 minimum wage and abolishing ICE. The child of immigrants, Tlaib has spoken out against the Trump administration’s travel bans!! ( Zechariah 12:6-9 KJV ) “In that day will I make the governors of Judah like an hearth of fire among the wood, and like a torch of fire in a sheaf; and they shall devour all the people round about, on the right hand and on the left: and Jerusalem shall be inhabited again in her own place, even in Jerusalem. The LORD also shall Save the tents of Judah first, that the glory of the house of David and the glory of the inhabitants of Jerusalem do not magnify themselves against Judah. In that day shall the LORD defend the inhabitants of Jerusalem; and he that is feeble among them at that day shall be as David; and the house of David shall be as GOD, as the angel of the LORD before them. And it shall come to pass in that day, that I Will Seek to Destroy all the Nations that come Against Jerusalem.”!! 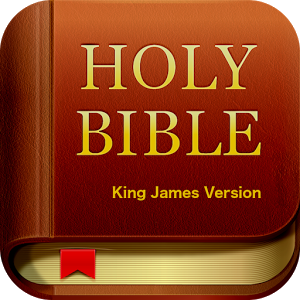 ( Deuteronomy Chapter 6:4-9 KJV ) “Hear, O Israel and USA: The LORD our GOD is One LORD: And thou shalt Love the LORD thy GOD with all thine Heart, and with all thy Soul, and with all thy Might. And these Words, which I Command thee this day, shall be in thine Heart: And thou shalt teach them diligently unto thy children, and shalt talk of them when thou sittest in thine house, and when thou walkest by the way, and when thou liest down, and when thou risest up. And thou shalt Bind them for a sign upon thine hand, and they shall be as frontlets between thine eyes. And thou shalt write them upon the posts of thy house, and on thy gates.”!! ( Revelation 1:7-8 KJV ) “Behold, HE Cometh with Clouds; and Every eye shall see HIM, and they also which Pierced HIM: and all kindreds of the earth shall wail because of HIM. Even so, Amen. I AM Alpha and Omega, the Beginning and the Ending, Saith the LORD, which is, and which was, and which is to Come, the Almighty.”!! Only Devout Messianic Judaism and Christianity is RIGHT as we Have the SAME ONE TRUE GOD the FATHER who art in HEAVEN ABOVE and HIS SON JESUS-YESHUA CHRIST!! ( Isaiah 5:20 KJV ) “Woe unto them that call evil good, and good evil; that put darkness for light, and light for darkness; that put bitter for sweet, and sweet for bitter.”!! ( Psalms Chapter 117 KJV ) “O Praise the LORD, all ye Nations: Praise Him, all ye people. For His Merciful Kindness is Great Toward us: and the Truth of the LORD Endureth For ever. Praise ye the LORD.”!! Praise Ye the LORD!! ( Isaiah 53:5 KJV ) “But HE was wounded for our transgressions, HE was bruised for our iniquities: the chastisement of our Peace was upon HIM; and with HIS stripes we are healed.”!! TRUST in the LORD CHRIST-MESSIAH JESUS-YESHUA!! ( Philippians 2:10-11 KJV ) “That at the Name of Jesus Christ-Yeshua HaMashiach every Knee should Bow, of things in Heaven, and things in earth, and things under the Earth; And that every Tongue Should Confess that Jesus-Yeshua Christ-Messiah is LORD, to the Glory of GOD the FATHER.”!! HE IS our TRUE FATHER / REDEEMER / SAVIOUR / MESSIAH / LORD / KING / EVERLASTING ONE ( YHWH- YAHWEH-HaShem-Jehovah-Emmanuel-CHRIST-MESSIAH JESUS-YESHUA ) GOD Who art in HEAVEN Who CREATED Everything!! Please Pray for Israel / Christian Nation United States of America, and our Christian Earth Everyday “Pray Without Ceasing.” ( 1 Thessalonians 5:17 KJV )!! 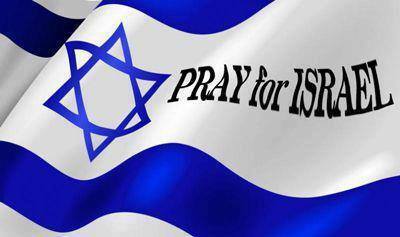 Joel 3:16-17 Pray for Israel-Yisrael and USA!! Ilhan Omar is a devout Marxist raised muslim!! lhan Omar has been sworn in, but already the darkening storm clouds of confrontation are on the horizon. Omar is one of two muslim women elected to Congress in 2018, both of whom are anti-Israel and anti-semitic. Democrats in Congress are already working to change Centuries-old America law so that Islamic headgear will be allowed to be worn on the floor of the House!! Shameful of these muslims and muslim brotherhood members and Sympathizers!! They are All Anti-Christian and Jewish People / Anti-Israel-Yisrael / Anti-Zionism / Antisemitism / Anti-USA Capitalism and Constitution!! Antisemitism is Anti-Jewish and Christian People!! Ilhan Omar is a devout Marxist raised muslim and muslim brotherhood member and Sympathizer!! She is Anti-Christian and Jewish People / Anti-Israel-Yisrael / Anti-Zionism / Antisemitism / Anti-USA Constitution and Capitalism!! All Muslims are Nazis – ( Struggle-Jihad, Islam–Submission ) same as ( Struggle-Mein Kampf, NAZI Germany ) – Both Different OCCULT-IDEOLOGIES, same / Evil / Satanic / Demonic Groups!! They’re Anti-Christian and Jewish People!! Ilhan Omar Supports The Anti-Israel-Yisrael BDS Movement!! There is Only ( ONE TRUE GOD The FATHER ) / ONE SON ( Yeshua-Jesus Christ ) / and ( ONE HOLY GHOST–HOLY SPIRIT ) PRAISE Them ALL as They’re THREE in ONE!! ALL muslims are NAZIS – ( Struggle–Jihad, Islam-SUBMISSION ), ( Struggle–Mein Kampf, NAZI Germany ) – Both Different Groups, same / evil / satanic / demonic Groups / Anti-Christian and Jewish People!! Islam is anOCCULT-IDEOLOGY / FALSE religion!! Islam was created by satan ( the devil )!! Islam was created from only 1400 years ago, because muhammad is FALSE prophet, when he thought he seen a False Pagan moon god named allah-satan-baal, But, is was satan ( the devil ) DECEIVED him!! ALL Islamic Muslims are ANTI-CHRISTIAN and JEWISH PEOPLE / ANTI-ISRAEL-YISRAEL / ANTI-ZIONISM / ANTISEMITIC / ANTI-USA AMERICA / ANTI-USA CONSTITUTION / ANTI-USA BILL OF RIGHTS / ANTI-USA VETERANS / ANTI-UNITED STATES OF AMERICA MILITARY!! 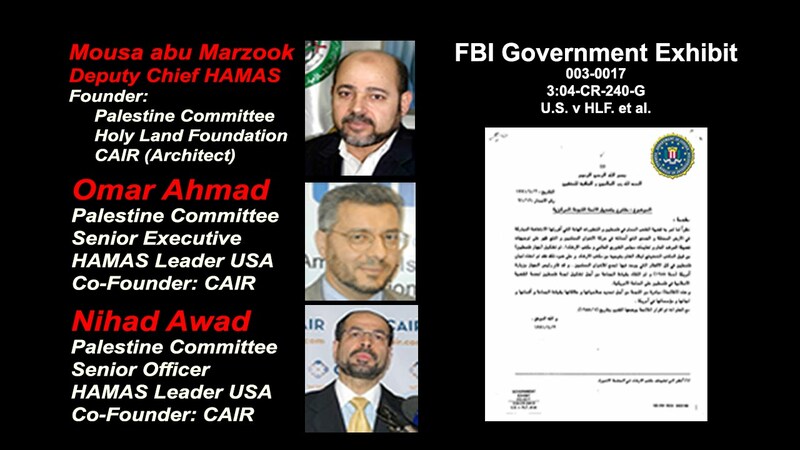 CAIR-HAMAS-ISIS is a Terrorist Group!! CAIR-HAMAS-ISIS!! CAIR was created by HAMAS!! Hamas-linked CAIR exploits New Zealand massacre to try to shut down opposition to jihad terror!! CAIR-HAMAS-ISIS!! 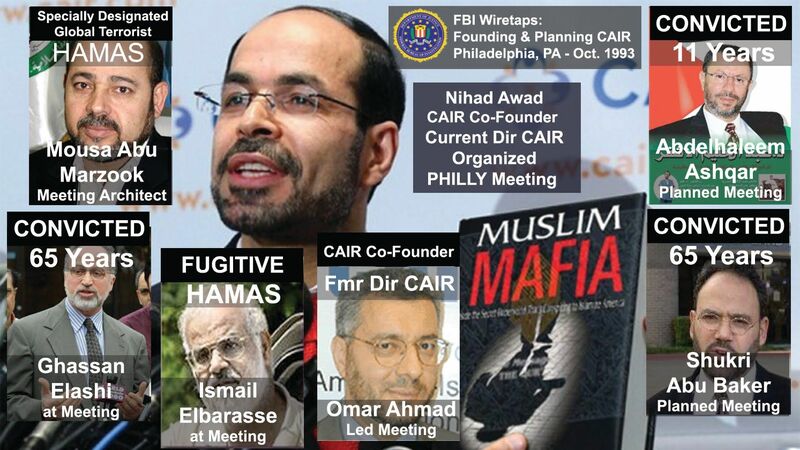 CAIR was created by HAMAS!! They are all Arabs muslims and muslim brotherhood members and Sympathizers!! They are TERRORISTS!! The FALSE PAGANISM OCCULT-IDEOLOGY and their ( STRUGGLE-Jihad-islam-SUBMISSION ) and same as ( STRUGGLE-Mein Kampf NAZI Germany )!! The FALSE PAGAN moon god allah-satan baal is NOT a god and NOT the god of ABRAHAM / ISAAC and JACOB!! ( Matthew 7:15 KJV ) “Beware of false prophets, which come to you in sheep’s clothing, but inwardly they are Ravening Wolves.”!! United We STAND with Israel-Yisrael / Christian Nation United States of America, and our Christian Earth, Divided We FALL!! I am Pro-Israel / Pro-USA / Pro-Life!! ( Revelation 22:20 KJV ) “He which Testifieth these things Saith, Surely I Come quickly. Amen. Even so, Come, LORD Jesus-Yeshua.”!! Jesus-Yeshua Christ IS KING of kings and LORD of lords, HE is the ALPHA and OMEGA, HE is the FIRST and the LAST, HE is the BEGINNING and END, HE is PRESIDENT of presidents, HE is our MESSIAH / SAVIOUR!! Glory Glory Hallelujah, Maranatha, and HE Loves ❤ You All, Amen–Amein!! THE LIST: Muslims in Congress Have Lists of People Who Are NOT Allowed To Attend Their Meetings!! The evil / satanic / demonic sharia law is UNCONSTITUTIONAL in our Judeo-Christian Nation United States of America!! The FALSE PAGANISM OCCULT-IDEOLOGY of islam is NOT a religion PERIOD!! There is Only ( ONE TRUE GOD The FATHER ) / ONE SON ( Yeshua-Jesus Christ ) and( ONE HOLY GHOST- HOLY SPIRIT ) PRAISE Them ALL as They’re THREE in ONE!! Jesus-Yeshua Christ was Born in Bethlehem Israel, DIED in Jerusalem Israel, AROSE on the THIRD DAY to Prove HE is GOD the SON, and They’re THREE in ONE! !